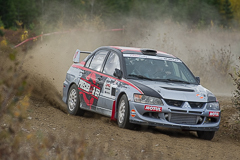 In the relatively short period of time since he burst onto the North American rally scene, 'Crazy Leo' Urlichich has established himself as a clear favourite amongst fans in Canada and the United States. 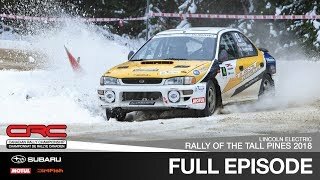 And his 2012 season has gotten off to an eventful start, with one of the most spectacular moments, that being the huge crash that Leo and co-driver Carl Williamson endured during Rallye Perce-Neige, becoming an online sensation. Just two weeks after being posted, the team’s video, titled "Rally Crash" had generated over a million views on YouTube. The funny thing is, Urlichich never expected it to gain in popularity so fast. "It brought a little bit of a bigger crowd than the normal rally crowd," he said. "(But) we never expected this much this quickly." While he remains coy on any specifics, Leo and his Can-Jam Motorsports team have at least one more media-related surprise in the works for this season. "We would really like to do something outside of just covering the events” Leo teased, “I can’t say what it is yet, but we’re going to try to mix the best of some rally action, and some humour." Fresh off his first ever national rally win at Tall Pines last year, Leo is once again looking at this year as an opportunity not only to develop his driving, but also getting to know the roads that he and the other competitors face throughout the continent. "I'm not really the type to worry too much about championships at this point in my career" he admits. "What I want to do is to become as fast as possible. So we've had to take a little bit of a conservative approach, (even though) we've proved to ourselves that we can do it. So this year the strategy is to go harder, go with more risk and see if I can improve as a driver." 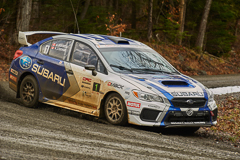 And after being a stalwart in Canada for the past few years, Crazy Leo is tackling the Rally America Championship for the first time in his career, in addition to a full CRC schedule. Prior to his most recent second-place finish at the Oregon Trail Rally, Urlichich's American season saw him finish 6th at Sno*Drift (he originally finished 3rd but was demoted because of a technical infringement) and crash out of the Rally in the 100 Acre Wood. 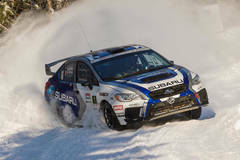 And learning the new roads that the Rally America Championship has to offer has been made more difficult by the pacenote system used south of the border. One that Leo is not a fan of. 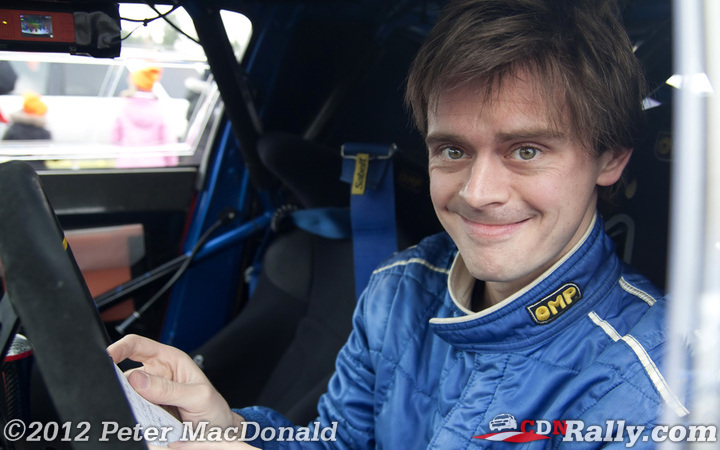 "Of course, my pace will look a lot slower than in Canada because it's new rallies and Jemba recce which I don't agree with." he mused, "Shouldn't we all be trying to prepare for the world level of competition? 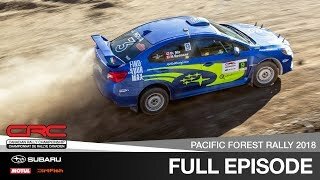 Anybody from the US who wants to go rally anywhere else has to learn how to write notes! Thank god there is a good system in Canada, 2-pass recce, like anywhere else in the world. And that's best for somebody like me who struggled with blood, sweat, and tears to get the pacenotes good." Furthermore, Urlichich hopes that in the future he can make the transition to racing outside of North America, and compete on the international stage. "The goal is definitely to make it to the WRC one day" he said. "(We) don't quite know how yet, and don't quite know when, but that's definitely the plan." 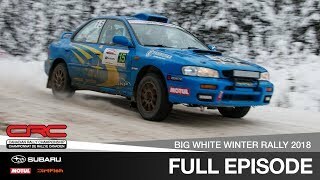 So will we see Crazy Leo competing amongst the likes of Loeb, Hirvonen and Solberg soon? Who knows, but for now he appears happy to hone his craft here in North America. And certainly, Canadian and American fans alike are happy to have him.